Barletta, 이탈리아의 에라클리오 B&B | 호스텔월드에서 예약하세요. Closeby many small shops where you can buy handmade jewelry or enjoy the lively local arts and crafts. Close to the sea, Barletta has a long beach that satisfies all needs. Barletta, eclectic city with a thousand faces secrets and magic, with little nuances that are embedded in arabesque palaces! 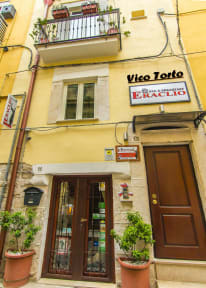 At Eraclio B&B we offer cosy rooms with all comforts, Italian breakfast inclusive. Our cuisine invites you to sample the culinary delights of our region as the soft mozzarella, the creamy burrata cheese and the wonderful fresh pasta. Cots available, free Wi Fi connection. Parking available at 8 per day. 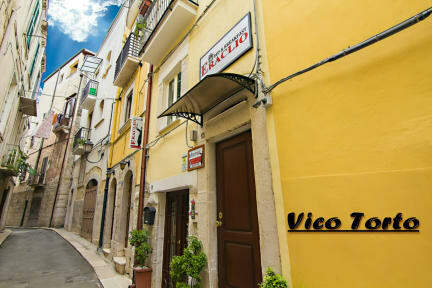 Eraclio B&B where you will be welcomed with grace, courtesy and discretion.